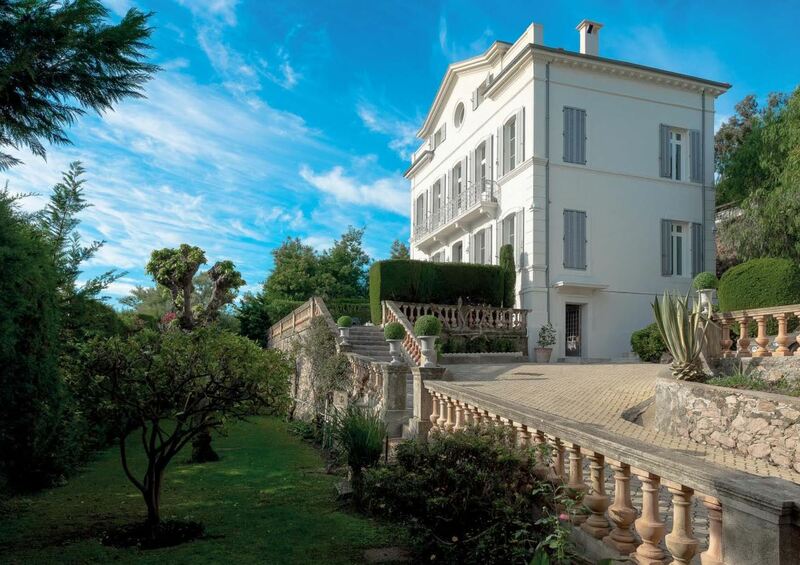 This charming Belle Epoque villa is situated in a residential area close to Cannes. The main property features beautiful panoramic sea views from the south-east facing terraces as well as a swimming pool and gardens. The main villa comprises of 5 tastefully decorated bedrooms, 3 of which have en-suite bath or shower rooms. The spacious living room provides access to the large terrace and includes a fireplace. The dining area has comfortable seating and leads on to a billiards table and a TV lounge. The large equipped kitchen benefits from a professional ‘Aga Gaz’ cooker and the latest appliances. The property features an independent apartment comprises of the 6th bedroom, shower room, TV lounge and a kitchen. Guests can enjoy a fantastic outdoor space with this property including a wonderful swimming pool, landscaped gardens with olive groves and large terraced areas for sun bathing or outdoor dining. Large living room with a fireplace that opens onto the terraces where there is a sunny dining area to relax and enjoy the views out over Cannes and the bay.